Birstall United kicked off and had an early shot which was off target. Leicester City Ladies went on the attack and a cross by Jamie Carr to Simran Singh whose shot was blocked. City forced a corner taken by Megan Clements which was cleared by Birstall United. Leicester City Ladies were awarded a free kick which went over the bar. City were getting a lot of the ball, and a run by Jamie Elday on the right crossed the ball to Paige Wells who found CC Cooper to slot the ball home on 9 minutes. Birstall United were awarded a free kick cleared by the City defence. In the 16th minute City went further ahead when CC Cooper scored her second goal, she then completed her hat-trick in the 18th minute. Leicester City Ladies were now playing some attractive football a cross by Charlie Tatture went wide and with the midfield linking up with the forwards. 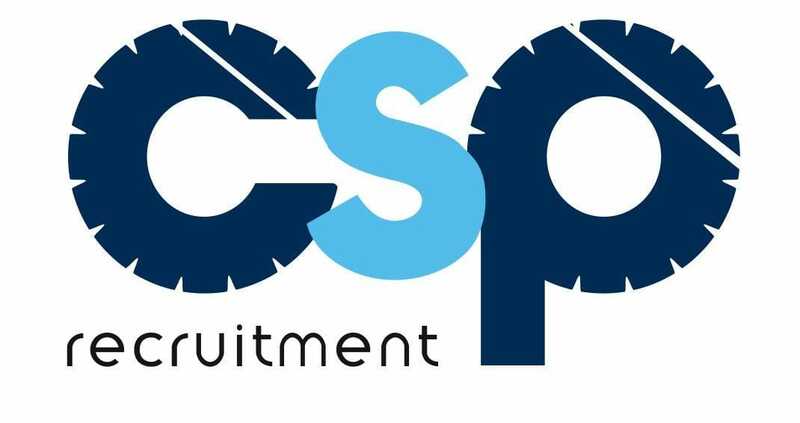 Birstall United had no answer to the City girls dominance and they were limited to a long range shot by which was saved by the City keeper Chloe Park. Leicester City Ladies went 4-0 up on 42 minutes with a run and shot by Jamie Elday after a quick one two with Paige Wells. Leicester City Ladies kicked off with a shot by Connie Ingall. In the 46th minute a cross by Elday into the Birstall United area lead to Jordan Burrows scoring the fifth City goal. Carly Wilson came on for Wells. Two free kicks were cleared well by the Birstall United defence. City made two substitutions Jordan Knibbs on Charlie Tatture off and Niamh Ruff on for Jamie Elday. In the 57th minute Birstall United pulled a goal back from a throw in the forward fired in a shot that was palmed away only for a Brirstall player to tap it home. City responded quickly and made it six when Simran Singh Scored in the 62nd minute. Wells came on for Singh, a corner by Birstall United lead to nothing. In the 83rd minute Demi Knott picked up a pass from Carr beat a Birstall United defender to blast an unstoppable shot past the keeper. In the 85th minute Leicester City Ladies captain Paige Wells won a tackle and from outside the box scored with a shot into the roof of the net. City’s Ruff had a run at the Birstall United defence only to see her shot go just past the post. In the 89 minute City were awarded a penalty when Demi Knott was brought down in the area Paige Wells scored from the penalty spot. This was another brilliant team display by the City Girls as always, and the end of another successful season. 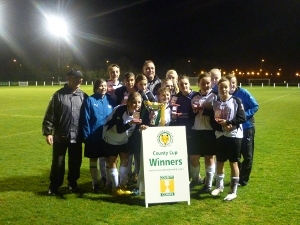 Leicester City Ladies secured win number eighteen to finish another successful season and the Under 18s League Title. Leicester City Ladies took the lead in the 9th minute a cross by Jamie Elday was volleyed home by Demi Knott. City started to take control of the midfield a couple of shots were cleared by the Birstall defence, but City went further ahead when a neat passing move by Wells and Singh lead to Knott scoring the second goal in the 24th minute. Birstall were restricted to long range shots and in the 33rd minute CC Cooper scored City’s third goal. Leicester City Ladies made two Subs With Carly Wilson off for C C Cooper and Laura Cole’s off for Alice Allcock, City continued where they left off in the first half and took the lead in the 52nd minute through Simran Singh and went further ahead in the in the 55th minute when Demi Knott fired in her second goal and Leicesters third goal a minute later. From a Leicester City Ladies corner taken by Megan Clements was headed home by Charlie Tatture the City defence were rarely troubled by Asfordby and in the 63rd minute a drive by C C Cooper found its way into the Asfordby net. Carly Wilson came back on for Simran Singh, Lauren Steadman came on for Paige Wells. Asfordby came forward a through ball rolled through for the City keeper Chloe Park to collect. Leicester City Ladies scored their sixth and final goal as Wilson scored from inside the Asfordby box. Leicester City Ladies started well and took the lead on 2 minutes when a corner by Laura Keating came into the Barrow area was knocked into the net by Jamie Elday. In the eighth minute a shot by C C Cooper on target was saved and went for a corner which was cleared by the Barrow defence. Leicester City Ladies won a corner in the 14th minute by Megan Clements lead to a shot by Simran Singh. Leicester City Ladies made a substitution Charlie Tature on for Keating City were using the wings to their full advantage with Niamh Ruff on the left and Elday on the right. After 22 minutes a shot by Barrow Belles was saved by the City keeper Chloe Park two substitutions Demi Knott on for Cooper and Connie Ingall on for Elday. On 31minutes a shot by Jamie Carr was turned away for a corner to the City the Barrow forwards were caught offside a couple of time. At the start of the second half a Leicester City Ladies corner by Clements lead to a shot by Singh a succession of corners by Megan Clements lead to City’s second goal scored by Jordan Burrows. In the 53rd minute a cross by Charlie Tature went to Jamie Carr whose shot on goal was saved by the Barrow Keeper. City increased their lead further in the 61st minute when Connie Ingall chased a through ball to her beat the defender cut inside and scored in the far corner. Although Barrow had a couple of corners late in the half the City defence held strong. City scored their fourth goal in the 90th minute a cross by Niamh Ruff went through to Charlie Tature to tap home. Leicester City Ladies scored in the second minute through CC Cooper and went two up in the eight minute when Connie Ingall scored. City were having a lot of the play a corner kick by Megan Clements a couple of shots at the Asfordby by Simran Singh and CC Cooper were saved a cross by Jamie Elday lead to a shot by Jordan Burrows on target Asfordby came more into the game before half time. Asfordby pulled a goal back from a free kick in the 46th minute but 2 minutes later Cooper restored City’s two goal cushion with an assist from Connie Ingall. On 50 minutes a corner by Megan Clements was cleared in the 52nd minute City increased their lead when Connie Ingall scored her second, however Asfordby scored a second in the 54th minute. At this City started to command the middle of the park and it was no surprise when CC Cooper scored two more goals in the 63rd and 64th minute another goal by CC Cooper in the 74th minute for her 5th goal and a own goal completed the scoring for the City Ladies for another fine win. This league encounter between the top two sides turned out to be a close affair between two sides committed to playing football as it should be played. Leicester City Ladies kicked off and attacked straight away but the shot was cleared by the Loughborough Foxes defence. City were pressing for a goal when Simran Singh broke through the Foxes defence only to put her shot wide of the far post. City were gaining some possession from the flanks with shots from CC Cooper and Jamie Carr were saved by the Foxes keeper. Loughborough Foxes were defending well and kept the City girls out. Leicester City Ladies came out with more purpose in the second half and gained a free kick from a foul by a Foxes midfielder which went over the bar. Ten minutes into the half City took the lead when a shot by Jamie Elday was spilled by the Foxes keeper and Jordan Burrows followed in to tap the ball into the net. City gained a few corners which were cleared by the Foxes defence. Loughborough Foxes then forced a corner but the City defence cleared with ease. Leicester City Ladies put a cross into the Foxes area from the right was handled by a defender and City were awarded a penalty, which Annie Taylor stepped up to slot the ball home. On a rare Foxes attack lead to a free kick for a foul which hit the City crossbar a few minutes later a shot by the Foxes centre forward was saved by the City keeper Chloe Park there was no further score. Leicester City Ladies U18s secured their sixth win on the trot to move back into second place in the table after three weeks without a league fixture after some early midfield exchange between the two sides City opened the scoring when Jamie Carr crossed a ball into the Northampton area for C C Cooper to score City had most of the possession and scored a second in the 20th minute a cross into the area across the keeper was followed in by Jamie Carr to tap home City continued to dominate the match until half time. Leicester City Ladies made some substitutions at half time Northampton were making some stiff challenges in mid field the ball being put out for several throw ins 10 minutes into the half City increased their lead when Demi Knott rifled in a shot Jamie Elday came on and nearly scored with her first touch of the ball City continued to press and win the midfield with some good football and were rewarded when Jamie Elday won the ball and raced the wing cut inside to score the fourth goal for City five minutes later Elday added her second goal and City’s fifth Northampton gained a couple of corners near the end but the City defence held strong C C Cooper scored second to complete the scoring for the City girls. Loughborough Foxes kicked off this league game and gave the ball away a cross by Jamie Elday from the right lead to the first goal for the Leicester City Ladies scored by Simran Singh in the 8 minute her second followed a minute later and City went further in front in the 11th minute when Jamie Carr latched on to a through ball to score then. Singh completed her hat-trick with a headed goal in the 13th minute for City’s fourth the City midfield were now in command and some brilliant football being played with Niamh Ruff and Jamie Elday running the wings with Jamie Carr and Demi Knott up front, in the 17th minute Knott won a tackle beat a Foxes defender to score City’s fifth goal a sixth followed in the 21st minute scored by Niamh Ruff from a cross by Knott, in the 24th minute Knott scored her second and City’s seventh in the 29th minute City brought on Annie Taylor, Lauren Steadman and Carly Wilson for Singh, Knibbs & Charlie Tature in the 30th minute Carly Wilson scored from twenty-five yards with her first touch of the ball, CC Cooper on for Ruff a shot off target by Wilson C C Cooper scored in the 43rd minute. Leicester City Ladies kicked off with a shot by Jordan Burrows saved in the 49th minute, Burrows won the ball an scored City’s 10th goal. Loughborough Foxes were not getting any joy from the City defence who were in commanding form however the City goalkeeper Chloe Park came off through illness Annie Taylor took over in goal in the 64th minute Jamie Elday scored after a run down the right. Loughborough Foxes saw an effort from a corner go over the crossbar. In the 69th minute Singh scored her fourth goal and City’s 12th goal further goals followed in the 76th minute Demi Knott completed her hat-trick and a penalty awarded for hand ball in the area scored by Annie Taylor to complete another brilliant performance by the Leicester City Ladies. Leicester City Ladies kicked off this fixture against Northampton Town, the first shot on two minutes by C C Cooper for the City. Five minutes in Northampton had a free kick which came to nothing a couple of shots by Jordan Burrows on target were saved by the Town keeper a shot by Northampton was off target in the 15th minute Leicester took the lead through Jamie Carr. In the 23rd minute Connie Ingall came off and Jamie Elday came on, a Megan Clements shot on target saved Northampton had a couple of free kicks which were cleared by the City defence substitution Demi Knott on Burrows off Jordan Knibbs on C C Cooper off. In the 38th minute Knibbs won the ball in midfield it fell to Demi Knott to increase Leicesters lead a shot by a Northampton forward was well saved by the City keeper Chloe Park Leicester made it three when Jamie Carr scored her second goal in the 41st minute. Leicester City Ladies scored twice in the first five minutes with goals from Connie Ingall and Jamie Elday, a corner kick by Simran Singh flashed across the Harborough area the city girls were playing some good football. In the 11th minute Harborough were awarded a free kick for a back pass but the shot hit the wall. In the 17th minute city went three up through an own goal, Leicester City Ladies were now playing some really nice football and further goals by Jamie Elday, Jordan Burrows, Megan Clements and CC Cooper made the half time score Harborough Town 0 Leicester City Ladies 7. The second half started with a goal by Niamh Ruff scoring in the first minute from a pass by Singh a pass to Singh who was brought down in the area for a penalty in the 52nd minute Annie Taylor scored from the spot. Leicester City Ladies were now in complete control in this half and further goals by Connie Ingall (three), CC Cooper (two), Simran Singh, Jordan Burrows and Annie Taylor completed the scoring to make the full time score Harborough Town U18s 0 Leicester City Ladies U18s 17. This was Leicester City Ladies last home game of the season. In a closely contested game City had an early chance but went behind when Birstal took the lead after a City attack broke down Birstall put a ball over the City defence it was half cleared but fell to a Birstall forward to score in the 18th minute. The shocked City into life and responded with a shot at the Birstall goal which was turned away for a corner taken by Megan but came to nothing. Leicester City Ladies kept piling on the pressure on Birstall but couldn’t score. passes between City’s Jamie, Niamh and Paige put the ball through for Demi to score, Birstall were awarded a free kick 30 yards out which was saved by the City keeper Chloe. As the half wore on Jamie was in on goal but was flagged off side from a pass by Simran another couple of chance’s fell to the City side but failed to score. This was a hard fought game by two sets of committed players who will meet again in two weeks time ,well done to both teams. Coalville Town kicked off this match and Leicester City Ladies won the ball attacked the Town defence who put the ball behind for a corner. Niamh for City had a shot on target saved by the keeper on 5 minutes City scored through Demi and increased their lead in the 8th minute Jordan chased down a ball to score. Coalville Town battled back to win a corner which the City defence cleared and a through ball to Demi who scored but was ruled out for offside. Simran put Leicester City Ladies further ahead in the 17th minute and a minute later a corner by Paige was headed home by Charlie for City’s fourth goal City made it five in the 34th minute as Jordan scored her second goal. Leicester City Ladies made a couple of substutions for the second half Laura for Connie and Annie for Paige and they continued to play some great football and were on three occosions when they were through on goal but were adjudged off side this did not deter the City as shots by Jordan, Annie and Jamie were all cleared by the Coalville keeper. Demi scored her second goal when a ball was missed by a Town defender she chased it down to score past the keeper. In the 60th minute Coalville had a shot off target in the 72nd minute City went further ahead when Demi completed her hat-trick. In the 76th minute City were awarded a free kick which was taken by Charlie 30 yards out but was saved by the Coalville keeper, Simran scored her second goal to complete the scoring for the City Ladies. Another fine all round team display. Leicester City Ladies and Ibstock met for the second week running with Leicester coming out the winners. past the Ibstoct keeper into the far corner of the net City were now well on top. At the start of the second half Demi had a chance to increase Leicester City Ladies lead and put her shot over the crossbar however City did increase their lead in the 50th minute when a neat little one two between Stella and Laura on the left side of midfield lead to Laura scoring with a left foot drive past the Ibstock keeper for her fourth goal on three games. City were now playing some nice football with some great link-up play between the midfield and forwards a corner from the right by Annie in the 60th minute was met by Simran to score from close in for Citys fourth goal there were a few more chances in the last 10 minutes. After a four week lay off through the bad weather Leicester City Ladies continue the quest for another league title with a 3-0 win over fourth place Coalville Town. Leicester City Ladies kicked off with a cross by Jamie into the Coalville area which was met by Simran and saved by the Coalville keeper. On ten minutes a corner by Connie was collected by the Coalville keeper. Leicester City Ladies were in control and shots by Charlie, Jamie and Simranh were saved by the Coalville keeper. Laura and Demi came on for Jamie and Jordan on thirty minutes in the 35th minute Laura shot just wide, the next attack Simran was off-side and in the 39th minute a Demi shot went just over the cross bar still the Coalville defence held firm. the ball to score. Annie came on for Simran in the 57th minute a corner to the City in the 62nd minute taken by Annie was met by Charlie to head home for City’s second goal a minute later a pass by Paige to Laura who cut in from the left to hit a left foot shot pass the keeper into the far corner for Leicester City Ladies third goal in the 76th minute Coalville had a shot which didn’t trouble the City keeper. Connie in the 2nd minute and Simran in the 5th and 13th minutes. At this point Leicester City Ladies were in control when Demi scored in the 26th minute Asfordby Amateurs were defending for most of the half when a ball from the left to Jordan who scored from close in on 31 minutes and just before half time Niamh scored City’s sixth goal. scored her third to complete the scoring for the City. This was once again another superb team performance by the Leicester City Ladies well done ladies. Leicester City Ladies kicked off and were one up inside three minutes through Simran from a pass by Demi, a shot by Demi was off target on eight minutes a cross by Charlie was met by Simran who shot wide. However Leicester City Ladies went further ahead with two goals by Demi in the 17th and 20th minutes a shot by Simran from cross by Annie was off target in the 24th minute Jordan came on for Simran and in the 26th minute Demi completed her hat-trick a rare attack by Loughborough ended with a shot off target. Stella came on for Demi two corners by Annie were cleared by the Loughborough Foxes defence in the 38th minute Jordan scored City’s fifth from a pass from Paige. Leicester City Ladies carried on where the left off with two goals in the 41st and 42nd by Jordan to complete her own Hat-Trick her first for the club. Leicester City Ladies were now in complete command with the defence giving nothing away a corner by Annie was met by Connie and in the 48th minute Connie scored City’s goal number eight. Simran came back on for Niamh and a couple of shots by Charlie and Connie. City then went further ahead with two goals by Connie on 55 minutes and Annie in the 58th minute Demi came back on for Jordan and within a minute scored her fourth goal and City’s eleventh goal in the 64 minute, from a pass by Stella, Connie completed her hat-trick. Loughborough Foxes had a corner that was cleared by the City defence and Simran rounded off the scoring in the 72nd min with her second of the match. Oadby & Wigston United kicked off and on 2 minutes had a corner which came to nothing, the game was mainly restricted to the middle of the park a cross by Annie was met by Charlie who shot wide. A foul by Oadby & Wigston United gave Leicester City Ladies a free kick which went to Demi but she was offside. Jamie who was having a terrific game on the right side of midfield for the City to produce several crosses for shots by Paige, Simran and Annie, in the 29th minute Jordan came on for Demi and had an immediate effect she collected a pass from Paige and ran at the Oadby defence and was tripped in the area for a penalty to the City which Annie stepped up to score. The second half started with a shot by an Oadby forward which was saved by the City keeper Chloe in the 50th minute Niamh came on for Connie a corner kick by Paige was cleared by Oadby at the other end a corner by Oadby into to the near post was headed on by an Oadby player only for City keeper Chloe to make the most incredible save I have ever seen for a young Keeper. Jess came on for Charlie on 64 minutes and in the 67th minute Annie collected a pass from Jamie after a quick one two between them and went on to score number two, then in the 73rd minute Niamh scored City’s third goal. By this time the City midfield trio of Jamie, Annie, and Paige who all had outstanding performances for the City. In the 79th minute City rounded off the scoring when a cross by Niamh found the back of the net to score City’s Fourth goal. Leicester City Ladies kicked off this league fixture in very wet conditions the first shot on goal by Charlie in the second minute City had a corner by Annie into the area which was met by Charlie whose shot was saved by the Ibstock keeper. An Ibstock forward had a shot which was saved by the city keeper Chloe. City took the lead on 17 minutes through Jordan, on 20 minutes a shot by Jamie was on target and a minute later Connie shot was well saved by the Ibstock keeper. In the 34th minute Ibstock attacked down the City right and a cross shot across the City keeper Park who made a brilliant one handed save down to her right. In the 39th minute a corner by Annie found Simran who headed in goal number two and scored her second a minute later. The second half started with the City girls well on top and in the 46th minute Simrran completed hat-trick with a powerful drive past the Ibstock keeper. In the 50th minute a corner by Ibstock was cleared by the City defence shots on target by Connie, Demi and Stella were all saved. Ibstock played a long ball forward only for their forward to be caught offside by the City defence. In the 70th minute a powerful shot by Simran was saved by the Ibstock keeper only for the ball to spill out of her hands and Connie who followed in to score and 2 minutes later Jordan scored her second and with five minutes left Simran scored her fourth goal of the game and City’s seventh a minute later Paige hit a low drive towards the left hand post which was turned away by the Ibstock keeper. Leicester City Ladies went straight onto the attack with a shot in the first minute by Demi. In the second minute Lauren had a shot on target saved. On 7 minutes the ball fell to Jordan but she was offside. Leicester City Ladies took the lead in the 14th minute with a goal from Demi. Laura was off target in the 22nd minute a shot by an Ibstock forward was off target. City went further ahead in the 25th minute when Niamh cut in from the right to score after an assist from Simran. Ibstock had a half chance which the City defence dealt with. City scored a third in the 32nd minute through Connie. Goal number four came from a corner by Paige into the area, Simran rose to head the ball into the net on 36 minutes. In the second half Leicester City Ladies continued to dominate the play two corner kicks by Paige into the Ibstock area were cleared by the Ibstock defence. The fifth goal came when Stella scored after a run down the right. City were in complete command when shots by Jamie, Jessica, Demi, Lauren and Simran on target were somehow kept out by the Ibstock defence. However goal number six came in the 76th minute when after some great passing football Simran scored her second goal. In the last five minutes City twice hit the post and crossbar. Leicester City Ladies kicked off and from the start took the lead in the first minute a ball down the right for Demi to score. Birstall United pushed forward and a challenge by Rowena set up an attack which found a pass to Annie to score the second goal in the fourth minute. Birstall United had a shot on goal which was cleared by the City defence, Leicester City Ladies then had a couple of shots after some excellent midfield play. Birstall United replied with a couple of shots one off target and one on target which the City keeper saved. Leicester City Ladies started to take control of the midfield and in the 34th minute went further ahead when Niamh collected a pass on the right and cut inside to score. Birstall United kicked off the second half and a long ball to their forward who had a shot that went wide in the 41st minute Leicester City Ladies played the ball into Simran in midfield who beat a Birstall defender to add to City’s lead. Leicester City Ladies defence were strong in their tackling as Birstall United came into the game but City hit them on the counter attack in the 49th minute Demi increased the lead with her second goal. As Birstall United kept battling away however in the 59th minute after a move between Jamies and Connie Leicester City Ladies scored again and added another two minutes later with a lofted shot over the keeper. of throw ins which a shot went wide of the City post for a goal kick. Leicester City Ladies added three further goals through Connie in the 66th and 74th minutes and in the last minute a cross into the area was finished by Jamie. At the start of the second half Lauren came on for Annie on the Leicester City Ladies side, the play was centred around the midfield area Woodlands had a couple of shots which were off target and a corner by Paige for the City was cleared by the Woodlands defence in with sixty minutes of the match completed Jordan had a shot wide Woodlands hit back and a corner by Woodlands was cleared by the City defence. Leicester City Ladies were awarded a free kick but the shot sailed over the crossbar. Leicester City Ladies again changed the line up with seventy minutes gone Demi came on for Jamie and set up a chance for Simran. In the last ten minutes Laura fired in a left foot shot which the Woodlands keeper saved and Demi had a shot on target but was cleared by a defender. In the last minute Woodlands defender put a long ball over the top but the forward was offside. Leicester City Ladies kick off and gained a corner which was taken by Paige and met by Connie who shot off target. Loughborough Foxes then had a shot which was off target on 3 minutes Demi fired in a shot past the post and on 11 minutes another corner by Paige went through the crowed goalmouth in the 12th minute City took the lead after some neat play between Demi and Niamh for Demi to score. After 14 minutes Leicester City Ladies scored their second goal when Connie passed into Jordan to score her first league for the club. City scored again on 18 minutes when Demi scored her second, a foul by Loughborough but the free kick went over the bar the move of the match the City keeper threw the ball out and after some great one touch football the final shot was just wide of the post after a couple of near misses City scored again in the 34th minute when Jamie followed the ball in to score. Then on 37 minutes Simran made it 5 nil to the City and in the 39th minute Connie fierce drive was well saved by the Foxes keeper. In the second half after some neat play by both sides City went further ahead a corner on the left after 51 minutes was taken by Paige who scored direct from it on 53 minutes after a long ball up field Loughborough Foxes scored to make it 6-1 this stung the City and couple of minutes later on 55minutes Connie increased their lead a shot from Demi was on target but was cleared by the Foxes defence. On 59 minutes City were awarded a free kick which fell to Demi to score City’s eight goal and her hat-trick and in the 62nd minute City were awarded a penalty which was missed, in the last ten minutes created four great chances of which two hit the crossbar and two hit the posts. Oadby & Wigston United kicked off the match and lost the ball in midfield, Leicester City Ladies took full advantage and opened the scoring through Jamie. After some good work by the Leicester City Ladies midfield a second goal was added when Demi collected a pass to score and the same player netted her second in the thirteenth minute to make it 3-0. Leicester City Ladies created several chances to increase their lead which they did in the thirty seventh minute through Annie. The second half continued with Leicester City Ladies attacking the Oadby & Wigston defence but could find no way through until Simran won the ball in the midfield to fire in a shot on fifty nine minutes. Six minutes later Lauren added the sixth with a low drive into the bottom corner of the net. An Oadby & Wigston attack broke down in midfield a quick shot came back off the Oadby & Wigston keeper straight into the path of Jamie who tapped the ball home for her second of the match on sixty none minutes. Ten minutes later Connie scored Leicester City Ladies eighth goal. Oadby & Wigston kept plugging away and in the eightieth minute they scored to make it 8-1 and in time added on scored again to make the final score 8-2 to Leicester City Ladies. Birstall United kicked off in this top of the table clash which turned into a game to remember. a penalty which Birstall United scored. for their efforts when Connie crossed for Jamie to score City’s second. Leicester City Ladies were now putting pressure on the Birstall United defence when they equalised through Niamh with the goal of the match from an acute angle. Leicester City Ladies continued to look for a winner and it came in the last minute a corner from Paige into the box was prodded home by Cooper to cap an amazing come back to preserve their 100 percent record this was the closest match Leicester City Ladies have been involved in and credit must go to both Leicester and Birstall managers and coaches and the players of both teams for producing such an amazing game of football. Leicester City Ladies kick off this League fixture and took the lead in the 5th minute through Simran. After a couple of good saves by the Oadby & Wigston keeper City went further ahead when Connie broke down the left to score on 18 minutes and two minutes later Simran made it three. After some evenly balanced play in midfield by both teams City went further ahead as Simran completed her hat-trick on 37 minutes. Oadby & Wigston kick off the second half with an attack down the right for an forward to have a shot which was well saved by the City keeper. Two minutes into the half Jamie scored two goals in the 42nd and 43rd to make it six to the City. Leicester City Ladies were now in command and but for the Oadby & Wigston keeper making three or four excellent saves City would have went further ahead. On 47 minutes Simran scored her fourth and City’s seventh for the next ten minutes play was even with both teams competing. Jamie completed her Hat-Trick in the 59th minute and Demi completed the scoring with two goals in the 75th and 77th minutes. Leicester City Ladies under 15s kicked-off their County Cup Final against Coalville Town Ravenettes and went on the attack two early chances fell to Connie and Niamh both went just wide. Leicester City Ladies took the lead on eleven minutes when a ball down the right found Niamh who beat the left full back cut inside and shot past the keeper. Coalville Town were competing well in midfield when on seventeen minutes Connie latched on to a cross to put Leicester City Ladies further ahead. Leicester City Ladies were now starting to take control of the game with some fine attractive football just after the half hour Simran added a third goal and a minute later Niamh scored her second goal to make it four nill. Coalville Town pulled a goal back just before half time. The second half started with an early chance for Leicester City Ladies which the Coalville Town keeper saved well. Play was mainly centred in the midfield with both teams compeating for every ball Coalville Town had a shot which was put behind for a corner. Connie for Leicester City Ladies picked up a ball in midfied and beat the defence but put her shot wide of the post the game was nearing the end Leicester City Ladies gained a corner but it drifted behind for a goal kick there was no further score. Leicester City Ladies Player of the Match was Jessica. Leicester City Ladies kicked off this league fixture and took command straight away with the first attempt on goal in the second minute, they took the lead in the 7th minute through Connie with a right foot shot into the corner of the goal. On 12 minutes Niamh won the ball on the right rode two challenges in the area to score and on 16 minutes after taking on the defender Ruff added her second goal and Leicester City Ladies third. Simran made it 4-0 in the 24th minute with a fine effort from midfield, City were now in complete control and a move which saw a total of 20 passes which ended in the shot going just wide. After 30 minutes from a corner taken by Paige Connie scored city’s fifth with a header there was no further score in this half. Oadby & Wigston kicked off the second half and had a shot on goal which the Leicester City Ladies keeper Chloe made a brilliant save down to her left to push the shot away for a corner to which was cleared and Leicester countered attacked, Jamie collected the ball and beat the defence to score. Two minutes later Jamie scored her second from a cross by Niamh. Leicester City Ladies increased their lead in the 47th minute when a cross by Niamh into the area was met by Demi to score city’s eight goal, three minutes later Jamie completed her hat-trick to score city’s ninth goal with a fine strike. Leicester City Ladies had a few more chances for Jamie, Demi and Simran before Annie picked up a pass on 64 minutes and cut inside and from 20 yards shot low into the bottom right hand corner of the Oadby & Wigston net for city’s tenth goal. Leicester City Ladies kicked off their under 15 league match away to Coalville Town and settled in to their rhythm very quickly. Coalville Town had the first shot but Leicester City Ladies scored first on six minutes through Niamh with a low hard drive into the net. After ten minutes of the match Coalville Town were awarded a penalty which they scored to level the match. After a period of even play Leicester City Ladies increased their lead when Connie broke down the left and scored in the bottom left hand corner. Thirty seven minutes into the match Leicester City Ladies went further ahead when Paige scored with a cracking right foot shot to make it 3-1 at half time. Leicester City Ladies continued to dominate the match and on forty five minutes Demi made it 4-1, Connie scored her second on fifty three minutes and Demi added her second on sixty one minutes to give Leicester City Ladies a 6-1 lead. Coalville Town scored a second goal 6-2 before Megan hit a hat-trick in the last seven minutes of the game to give Leicester City Ladies a 9-2 victory. As there were no league fixtures this week Leicester City Ladies had a friendly against a very good Nottingham Forest Development Centre side. Leicester City Ladies won the game 4-2 with two goals scored by Simran and one a piece for Jamie and Demi, another great performance by the City girls. Leicester City Ladies player of the match was Jamie who had an excellent match and rounded it off with a goal. Two of Leicester City Ladies Under 15 squad, Simran and Demi, had the honour of representing Leicestershire as part of the Under 16s squad. Both enjoyed the game and scored a goal each. Leicester City Ladies kicked off against Oadby & Wigston United and went straight on the attack and on three minutes Connie received the ball and went past the final defender to score. Leicester City Ladies were in full flow with the midfield in command and on eight minutes went further ahead when Rowena received the ball from a throw in and scored from twenty yards. Three minutes later Connie scored her second and Leicester City Ladies third. After a period of play in midfield Oadby & Wigston United pulled a goal back with a break down the left to make the half time score 3-1 to Leicester City Ladies. In the first minute of the second half Demi scored again for Leicester City Ladies who were in complete control of the match. After fifty two minutes Demi scored her second and Leicester City Ladies fifth goal. Leicester City Ladies were playing some excellent football and after some great play the ball came to Lauren who added a seventh goal. The scoring was completed when Leicester City Ladies were awarded a penalty after a foul on Connie, Connie stepped up to take the penalty which was well saved by the Oadby & Wigston United keeper but Connie followed up to score the rebound to complete her hat-trick. Leicester City Ladies kicked off and went straight onto the attack which was cleared by the Asfordby Amateurs defence. Leicester City Ladies took the lead in the sixth minute when Niamh won the ball and cut in from the right to score at the near post. Asfordby Amateurs area where it bounced over the keeper into the net for City’s second. scored and four minutes later she added her second and City’s fourth. by the Asfordby Amateurs keeper before Jamie scored City’s fifth before half time. The second half continued in the same vain with Leicester City Ladies attacking and they went further ahead when Demi added City’s sixth from close in. Asfordby Amateurs came more into the game but without threat to the Leicester City Ladies goal. Leicester City Ladies continued to create chances with the Asfordby Amateurs keeper making a string of saves. Considering the very hot temperature this was an excellent team performance. Leicester City Ladies kicked off and after a few minutes had the first shot on goal. Leicester City Ladies took the lead on thirteen minutes when Connie scored. After some fine passing moves Paige scored Leicester City Ladies second on twenty minutes from an acute angle. In the second half a foul by a Loughborough Foxes player presented City with a direct free kick twenty-five yards out which Charlie dispatched into the roof of the net. Two minutes later Page added her second and Leicester City Ladies sixth goal. Leicester City Ladies were having most of the play and Annie had a good shot which the Loughborough Foxes keeper spilled and Kelly pounced to score from close range. Leicester City Ladies started the tie well scoring after two minutes through Connie, after a run down the left to score at the near post. Leicester City Ladies dominated most of the play and increased their lead when Megan scored on ten minutes, Loughborough Foxes were battling well in midfield but some great inter passing by Leicester City Ladies in midfield when on twenty two minutes the ball fell to Simran to score. Eight minutes into the second half Connie scored her second and City’s fourth and a minute later completed her hat trick and City’s fifth with a great header from a corner. On fifty two minutes Annie scored City’s sixth goal after a flowing move down the right side of the pitch. Leicester City Ladies were now in complete control and on fifty six minutes Lauren scored with a long range shot from twenty yards to make it seven, the scoring was completed on seventy five minutes by Connie scoring her fourth goal of the match and Leicester City Ladies eighth. In very windy conditions it took time for both teams to settle, Leicester City Ladies did slowly take control and playing against the wind took the lead on 29 minutes when a cross from the right into the area was stabbed home by Jamie. The lead was doubled after 39 minutes when Simran won the ball in midfield, cut in from the right and fired the ball into the back of the net. With the wind at their backs The second half was all Leicester City Ladies and in the 54th minute Megan scored the goal of the game with a blistering shot into the roof of the Ibstock United net to make it 3 – 0. On 58 minutes Annie made it 4 – 0 and with 63 minutes gone, after some neat inter passing by the Leicester City Ladies midfield, the ball was crossed into the area and was handled by an Ibstock defender captain Paige stepped up to score the resulting penalty. The final goal of the game came from a corner taken by Paige and headed home by Connie in another fine all round team performance. Leicester City Ladies started well and should have scored after two minutes, a cross from the right by Jamie flashed across the area was just missed by new signing Connie. 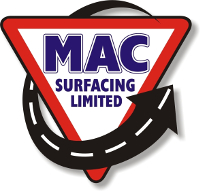 Hinckley United were kept in the game by their goalkeeper who pulled off a string of saves. Leicester City Ladies went in to the lead after twenty minutes when Simran fired a low shot into the far left hand corner of the net. 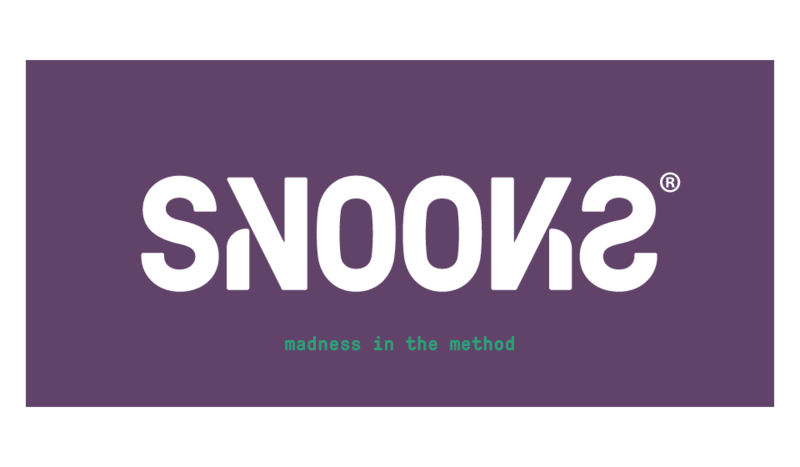 Twenty three seconds into the second half Simran doubled the lead. After some fine football in midfield on ten minutes Simran scored her third with another low drive passed the keeper. Leicester City Ladies were creating a lot of chances one of these the Hinckley United keeper made a great double save to deny City a fourth goal. Simran added another goal to her tally and five minutes later she added a fifth. New Leicester City Ladies signing Connie scored a deserved goal to make it six nil. Representing Leicestershire and Rutland Leicester City Ladies under 14s secured the title of Tesco Central England Champions with a penalty shoot out victory over Sporting Albion representing Birmingham. On Sunday 15th May the team will travel to Pride Park Derby to compete for the title of Tesco English Champions, the first game kicks off at 10:40 and the final is expected to start at 2.30 your support would be much appreciated. Leicester City Ladies under 14s secured the league title with three games to play after a seven goal to nil victory over Loughborough Foxes. This top of the table clash turned into a very entertaining game played in very wet conditions. Leicester City Ladies settled into their stride quickly with two early chances falling to Demi well saved by the Oadby & Wigston goalkeeper. On eight minutes Leicester City Ladies took the lead through Demi after some fine midfield play. Leicester City Ladies went further ahead with some brilliant one touch football Demi broke on the right and passed to Simran to score after fifteen minutes of the game. Leicester City Ladies were now in complete control of the game and Oadby & Wigston worked hard to prevent going further behind. However after twenty four minutes Demi scored Leicester City Ladies third goal and two minutes later completed her hat-trick to give a four nil half time score. Oadby & Wigston pulled a goal back early in the first half, a long clearance by the goalkeeper bounced over the Leicester City Ladies centre half and the forward chased well to score. Megan restored the four goal Leicester City Ladies lead on forty eight minutes after some flowing football with a rifled shot from an acute angle. Four minutes later Demi added Citys sixth goal after which Leicester City Ladies made a few changes to the line up. Oadby & Wigston mounted an attack and the final shot was well saved by Chloe in the Leicester City Ladies goal. Simran added Leicester City Ladies seventh and a brake down the left by Daisy who crossed Kirsty to score at the far post made it eight. Charlie came back on for Leicester City Ladies and she added two quick goals for Leicester City Ladies to complete a ten one victory. 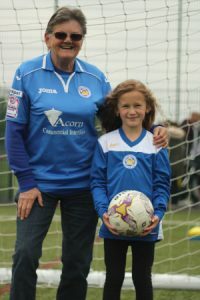 Leicester City Ladies under 14s Daisy started the scoring after only twenty eight seconds of the match after some fine passing football. On thirteen minutes Megan added goal number two. Ibstock United struggled to get into the game and a further two goals from Demi made the half time score four nil. Three minutes in to the second half Ibstock United pulled a goal back from the penalty spot after a shot had struck the Leicester City Ladies defender on the arm. Simran opened the scoring for Leicester City Ladies in the second half and Kelly added goal number six shortly afterwards. Demi slotted home goals seven and eight for Leicester City Ladies midway through the second half. Leicester City Ladies brought on sub Mia and she made an immediate impact by winning the ball in midfield beating the defender and scoring from a tight angle. The scoring was completed by Simran two minutes from the end of the game with her second and Leicester City Ladies tenth. In windy conditions Leicester City Ladies secured a nine nil victory over Coalville Town in the under 14s league. The opening fifteen minutes of the game was evenly balanced before Demi broke the deadlock with the first of her three first half goals for Leicester City Ladies. After the half time interval Leicester City Ladies continued to play fine flowing football, Jamie completed a rapid hat-trick of her own. Coalville Town came more into the game but Leicester City Ladies hit back with Demi adding a brace to her first half hat-trick before Mia completed the scoring on her début. In very windy conditions Leicester City Ladies Under 14s progressed to the next round of the League Cup with an eight nil victory over Ibstock United. Leicester City Ladies scored two early goals playing into the wind, the first from Jamie and Demi adding the second after some fine flowing passing football. Demi completed her first half hat-track inside twenty two minutes by curling a shot into the top of the net and by adding Leicester City Ladies forth to give her side a comfortable lead at half time. Paige was the first to score for Leicester City Ladies in the second half. Ibstock United continued to battle well but conceded goal number six when Leicester City Ladies launched a speedy counter attack finished by Simran. Simran added her second with a well hit right foot volley into the roof of the net from a Leicester City Ladies corner. The scoring was completed by Leicester City Ladies player of the match Kelly, who cut in from the right hand side to shoot low into the far corner to cap an outstanding performance. Leicester Ladies Foxes win the Butlins Football Festival Skegness for the third year in a row. Leicester City Ladies Foxes added the under 13s County Cup to their impressive honours list with a comfortable 3-0 victory over Birstall United. Leicester City Ladies Foxes attacked from the kick off but found the well organised Birstall United defence difficult to break down. Simran gave Leicester City Ladies Foxes the lead after twenty three minutes turning in a Demi corner. Three minutes later Leicester City Ladies Foxes subsitute Jamie-Lou made a great run in to the box, her shot was well saved by the excellent Birstall United keeper, but Laura was on hand to force home the rebound giving Leicester City Ladies Foxes a two nil half time lead. The second half continued in the same way with Leicester City Ladies Foxes attacking and Birstall United defending well. Nine minutes in to the second half Demi added a third goal for Leicester City Ladies Foxes with a fine individual effort. Team: Chloe, Paige, Simran, Laura, Charlie, Kirsty, Demi, Jamie-Lou, Katie N, Megan, Kelly and Katie G.
Leicester City Ladies Foxes maintained their unbeaten run in the under 13s league with a impressive 3-0 victory over Oadby & Wigston Snipers. Simran scored a goal in each half for Leicester City Ladies Foxes with Kelly adding the third. The strong Leicester City Ladies defence made it nine league games without conceding a goal. Leicester City Ladies Foxes progressed to the next round of the under 13s County Cup with a 5-0 victory over Asfordby Amatures. Demi scored a hat trick for Leicester City Ladies with Charlie and an own goal completing the goals. Leicester City Ladies Under 13s Foxes started well against a well organised Ibstock United side and took the lead with a well worked goal scored by Simran, a second came shortly after with a headed goal by Laura. The second half continued in the same way with Ibstock United being hard to break down but some great finishing gave Leicester City four more goals 3 for Simran and 1 for Megan, a good team performance giving Leicester City Ladies a winning score of 7-0. Girl of the match and winning a ticket for Leicester City game on Tuesday was Chloe. 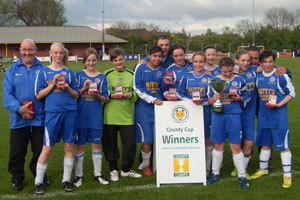 Leicester City Ladies Foxes made a winning start in the Under 13s Yellow Division. Two early goals and some good football from the Foxes helped see off a stubborn Coalville Town Ravenettes side 7-0, with the Leicester City Ladies goals coming from a Simran hat-trick, two from Laura along with one each from Jamie-Lou and Kelly, a good days work. 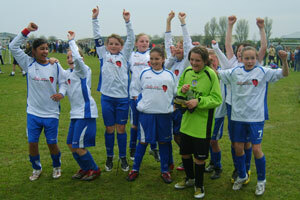 Leicester City Ladies Under 12 side win the UK’s largest girls and women’s five-a-side football tournament.